Very impressive as usual! It's got a rakish, shooting-brake style look, and I like the way the silver/chrome element along the sills continues into the front air dam. Not entirely sure how I feel about the two-tone color schemes (apart from Bugatti and well-done Rolls-Royces I'm not a big fan of multi-colored cars in general) but you've thought it through and it fits the rest of the design well. One technical aspect I think could be improved is slightly more pronounced tumblehome; as it is the side windows seem almost vertical. That's just a nitpick though; overall, it looks as polished and realistic as the rest of your designs. Last edited by SV; 11-13-2014 at 08:27 AM. in total it looks really good! For the coupe, I think it would look much better with a lower rear end instead and minus the relatively plain upper side line. That way it is congruous with the appealing low front. Last edited by ElementW; 11-14-2014 at 02:11 AM. Awesome! 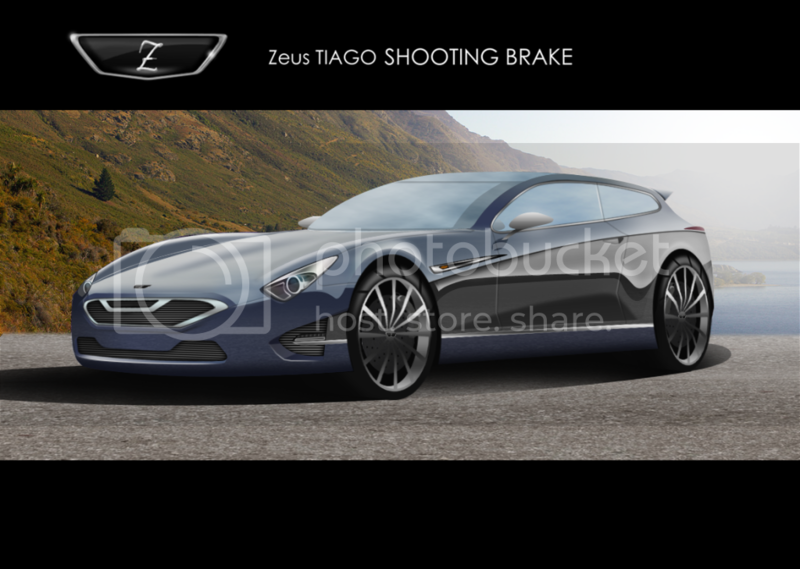 The shooting brake looks great! I think one thing you can do to add a bit more realism to these is to add a bit of transparency and an indication of seats/pillars etc. it shouldn't take too long but will add a lot to the render Also think that maybe the glass could have some more ground reflections on the side DLO and/or fade the cloud reflections you've put on there. For some reason it looks a bit fluffy in places. Hope you don't take this the wrong way because I'm nit-picking! I think you have the potential to do even greater work so I just wanted to push you a bit!